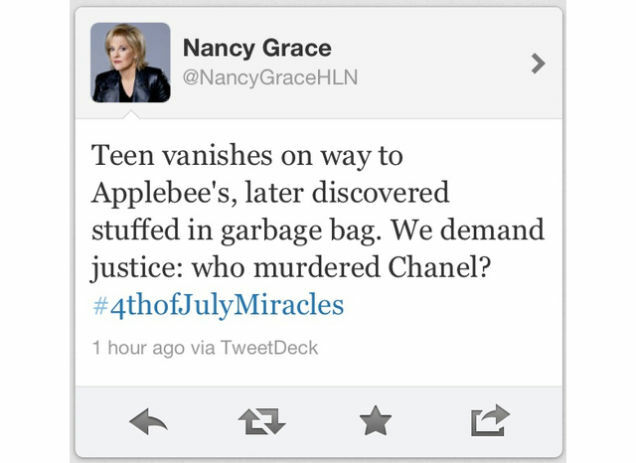 Nancy Grace, the crazy lady who yells about justice on CNN's Headline News, might have the best account on Twitter. 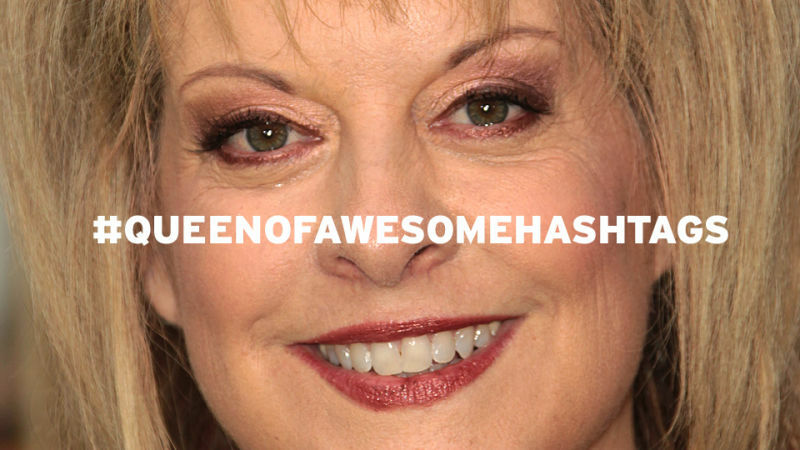 It's mostly just a reflection of her show's moralistic, crusading tabloid tone (a lot of moms accused of murdering their kids, or kids accused of murdering their moms, or pregnant moms murdering each other) but the Twitter format elevates it to a whole new level of blank, almost meditative vapidity, especially in her hashtags — small, violent tone poems sloughed of almost all meaning and beamed out to an unreplying universe. Below, a collection of her best, organized by category. 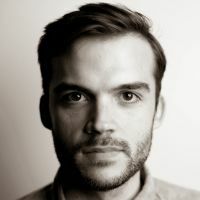 Wait till you hear this guy's complaints! Do you think 480lb-Killer is #TooFatToDie?